Much older manufacturing capital equipment is still running today. These systems can be maintained indefinitely for a lot less than buying a new one. However, they were design and built in a era of manual operation. Newer machines can be operated with less labor, making these old machines obsolete. 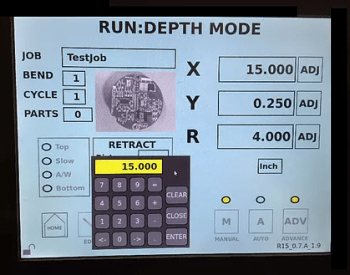 Relaying on our vast array of reference designs for motor and hydraulic control, we were able to design a new control system for an old machine – saving tens of thousands of dollars per machine.